Our sweet little Jasper puppy just turned 3 years old! I can't believe it's been three years since we first rescued Jasper from the animal shelter. For his 3rd birthday, we got him a new Squishy Mats dog bed. I teamed up with the US Family Guide and Squishy Mats (complimentary product) to give you some information on these great mats. All opinions are my own. Ok, first of all, what is Squishy Mats? 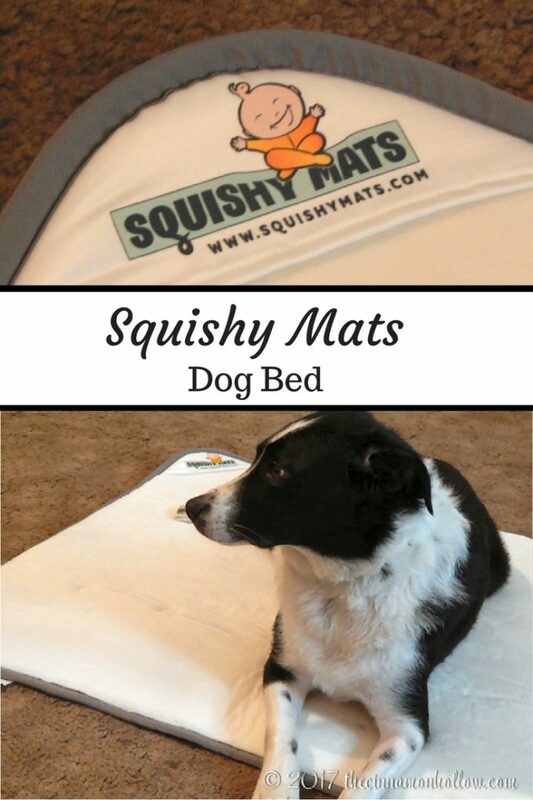 4x4' Big Squishy - Let's face it, the dog is just gonna steal the Squishy Mat from you and your little one - Made for everyone in the family, not just pets - folds and fastens with a carrying handle. We have the 3x3' Little Squishy and it's plenty big enough for Jasper. He is a border collie/lab mix, medium sized and fits perfectly on this mat. Jasper is a little bit spoiled and loved things that offer some cushion and padding. I wouldn't want to sleep on the cold, hard floor. He's a member of our family so I don't expect him to, either. 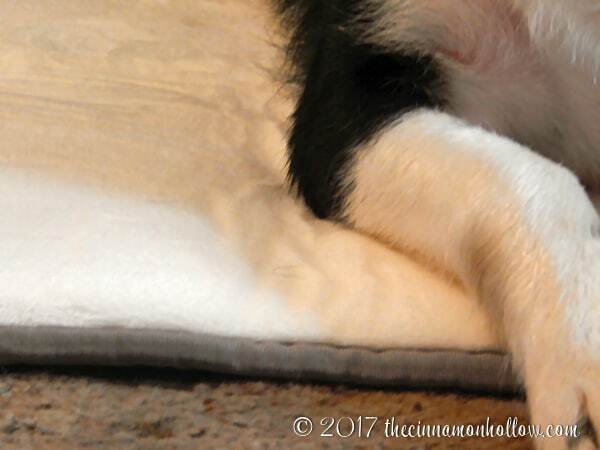 He loves the cushy-ness of this mat and it works great as his dog bed. How do I clean a Squishy Mat? With that said, there is one downfall for me. The cover isn't removable for washing. I have to wash the entire thing and hang it to dry, but it would be nice if I could just remove the outer cover from time to time. Our washer isn't huge so I'd like to not have to always try to wash the entire thing. And because it has the micro-flannel fabric, his hair really gets in there. So I have to vacuum it before I can wash it. But, it keeps his hair in the mat and not all over the floor. So, really, not a deal breaker, just something to make note of for wash-ability. Jasper seems to really enjoy his new dog bed. It's not super thick but the padding seems to be just the right amount of cushion for him. He took right to it and fell asleep as soon as we put it down. Does your dog have it's own special bed? What do you use?